Each and every day, thousands of people in the United States are arrested for drunk driving. Unfortunately, a significant percentage of these individuals are not being charged with driving under the influence for the first time. Rather, they are being arrested for a second, or subsequent, DUI. If you are like many motorists, as well as individuals in the health and hospitality industries that deal with people who sometimes drink to excess, you have a basic understanding of what is involved in a DUI case. However, with that noted, you may not fully understand all of the possible, negative consequences associated with being charged, let alone convicted, for driving under the influence. A key factor that you need to bear in mind about the criminal punishment associated with driving under the influence is that it is a progressive scheme in nearly all states. In other words, after a person is convicted one time for DUI, the sanctions in a criminal case increase, and sometimes significantly so. As an aside, you do need to keep in mind that even the sanctions for a first-time DUI in most states have been beefed up. Long gone are the days in which a person getting arrested for a first-time DUI only received a proverbial "slap on the wrist." If you've never been charges with DUI, you certainly want to keep it that way. However, without having been charged, you may not have a clear understanding of what happens to your driving privileges in most states when you are arrested, and not necessarily convicted in criminal court, for DUI. Most states have a law on their books that trigger a suspension of your driving privileges when you are arrested or charged with DUI. As is the case with criminal sanctions, the length of time associated with a driver's license suspension following a DUI arrest is extended upon a second, or subsequent, arrest. The Constitution of the United States does protect you against unlawful searches and seizures and against self incrimination. With this rights in mind, you may think that you have the constitutional right to refuse submitting to testing to ascertain if you are operating a vehicle under the influence. While this is true to a point, that refusal is not without consequences. Driving is a privilege and not a right. This is the case in all states. Therefore, when you seek and obtain a driver's license, by operation of the law in your state, you give implied consent to agree to submitting to testing to ascertain if you are operating your vehicle under the influence. Therefore, while you have the ability to refuse to submit to testing, this will not stop your arrest. In addition, the laws in all states include a provision that a refusal to submit to testing, can result in a suspension of your driving privileges. This occurs automatically and even in the case of first time DUI stop can result in a one-year driver's license suspension. A very real consequence of a DUI conviction is its impact on your employment. 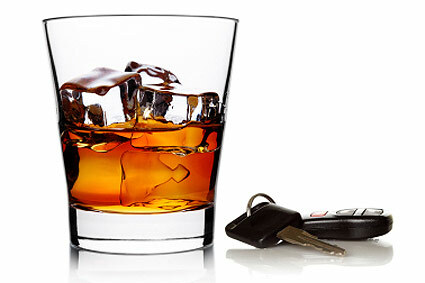 There are some very direct issues that you face, even after being charged and before you are convicted for DUI. Like a majority of U.S. citizens, you rely on driving to get to work. Losing your ability to drive, to say nothing of possibly serving time in jail, can have a serious impact on your ability to pursue your job. Beyond this type of direct impact, depending on the type of employment you maintain, a DUI conviction could cause you to lose your job. In addition, a DUI conviction might make it difficult to find future employment, depending on the field in which you work. A DUI arrest brings into sharp focus how much you rely on your ability to drive for your family. A DUI arrest, and the associated driver's license suspension, can profoundly disrupt your ability to tend to the needs of your family. Even once simple tasks like going to the grocery store becomes something all together more complicated. Your social life can become upended in the aftermath of a DUI conviction. Not only do you face a loss of your driving privileges, you face restrictions on where and how you can socialize, even while your DUI case is pending in court. While this may seem like a secondary issue, the reality is that many professional and work-related events occur in settings in which you might not have ready access to while serving a sentence for DUI.